James Winnerton, who suffers from a rare condition called synaesthesia tastes words when he hears or reads them and made it his life mission to complete the tube map with each and every flavour. Some are nice, such as Chocolate Digestives (which is Covent Garden to me or you) whilst others don’t conjure up the nicest thoughts, like Putrid Meat (Kilburn). It does make us a little peckish though! 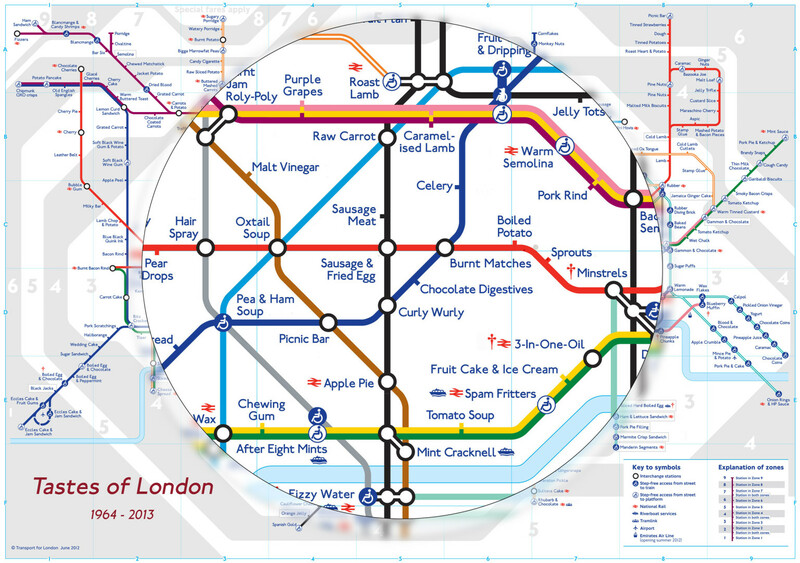 What does your Tube stop taste like? oh no I live in Kilburn.. I'd much rather After 8 mints!